Mike "The Mouth" Matusow showed up to watch the final table of the $50,000 Poker Player's Championship when Michael "The Grinder" Mizrachi was heads up against Vladimir Schmelev. When he arrived in the ESPN arena, Matusow said, "A Russian just broke me; I don't want one to break you!" Matusow also offered advice during the breaks, encouraging Mizrachi to do jumping jacks to keep his blood flowing. Michael "The Grinder" Mizrachi is a familiar face to poker fans, with two WPT titles under his belt and a handful of televised final tables. But he had never won a WSOP bracelet. 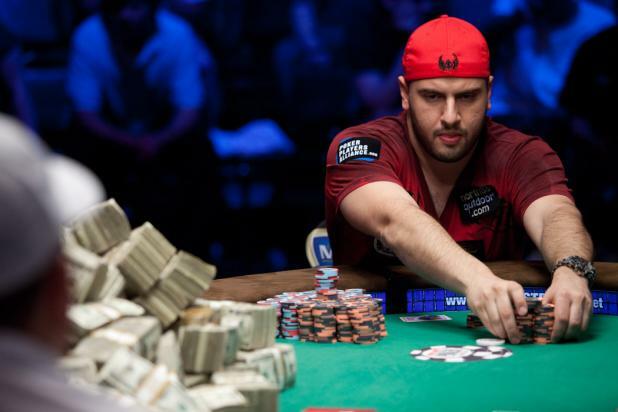 And the prize money would be nice too; even with millions in career earnings, Mizrachi had a very rough year that included some financial problems that reached the media. A victory here could go a long way toward turning a bad year for the Mizrachi family into a good one. There were very few non-professional players in the $50,000 Poker Players Championship, but one of them was Vladimir Schmelev and he was still alive playing heads-up for the bracelet. 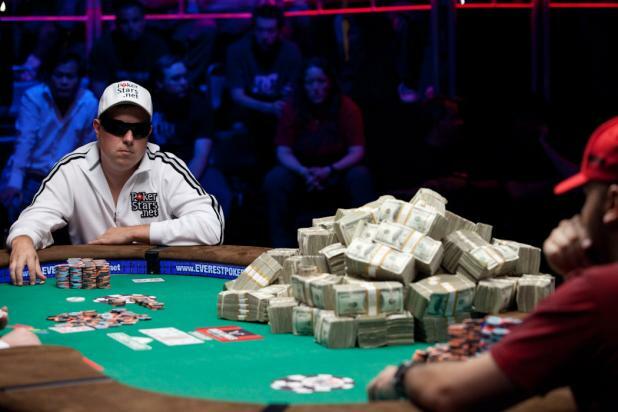 A banker by trade, Schmelev isn't a complete rookie when it comes to poker, with two prior WSOP cashes and a 2007 final table in a mixed-games event (S.H.O.E. ), where he finished sixth. 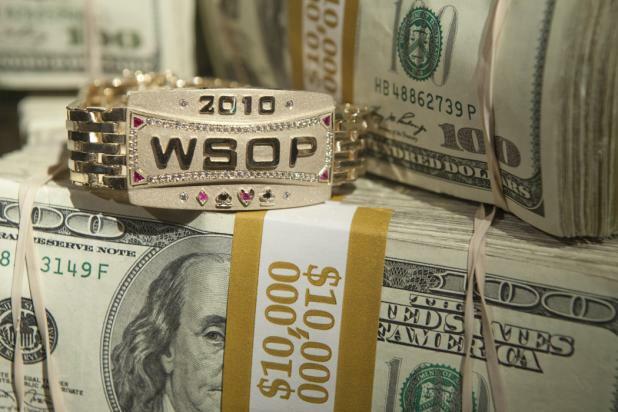 The WSOP bracelet is the cherry on top of the $1,559,046 prize in the $50,000 Poker Player's Championship. This bracelet is unique to this event, and will be engraved with the name of the winner. 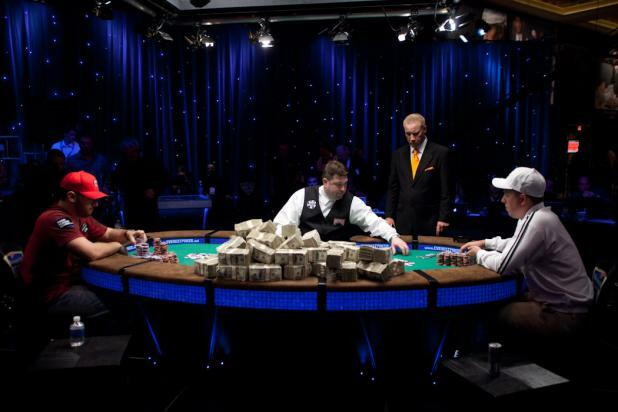 Down to the final two players, the prize money was moved to the center of the table to remind them of the high stakes. 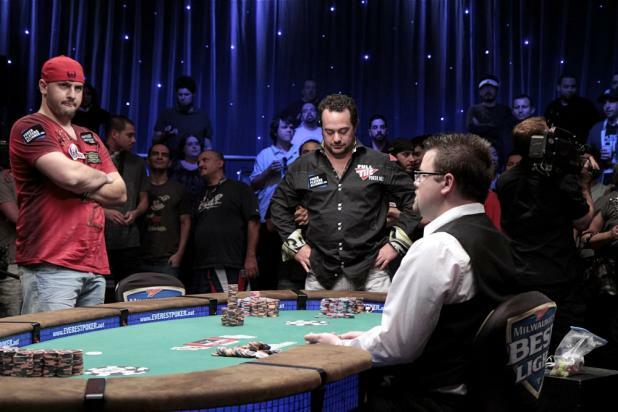 When heads-up play began, Michael "the Grinder" Mizrachi (left) had a roughly 3-to-2 chip lead over Vladimir Schmelev. Michael "The Grinder" Mizrachi (left) and David Oppenheim are all in preflop, with K-Q for Mizrachi and pocket eights (8-8) for Oppenheim. Mizrachi has nearly twice as many chips, so he can survive a loss here, but for Oppenheim it's now or never. The first four cards fall in Oppenheim's favor, leaving his pocket pair ahead, but a queen hits the river to deny him his first WSOP bracelet. Oppenheim would say, "I'm pretty happy with the way I played today. And that's what it's all about. You just make the best decisions you can. Of course, it's disappointing not to win, but it's been a great tournament." Sixth-place finisher David "Bakes" Baker had the largest cheering section at the start of the final table, but the Mizrachi section continued to grow all night. Of course, most of them had two players to root for -- brothers Michael and Robert. 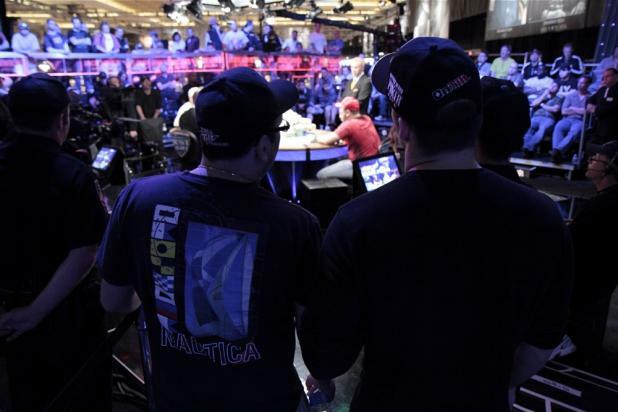 When Michael reached the final three, the section was filled with top poker players showing their support, including J.C. Tran, Nam Le, Tommy Le, Steve Sung, Chino Rheem, Quinn Do, Mark Newhouse, Noah Boeken, and Ray Henson. Michael's fraternal twin brother Eric is in the center of the photo, resting his chin on his hands. After midnight, the chip counts really evened out for the final three players, with less than 5% difference between them. 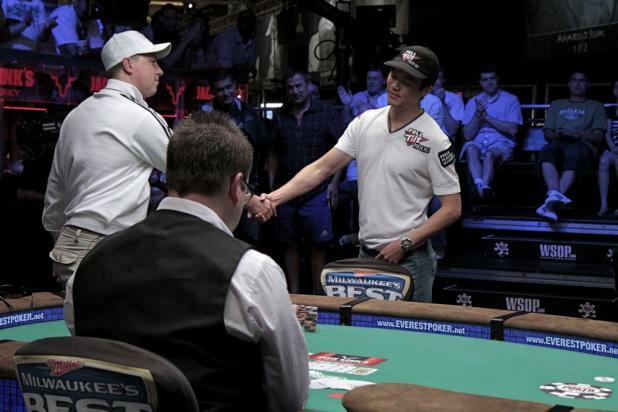 That put the coveted $50,000 Poker Player's Championship bracelet up for grabs, as it was anyone's tournament to win. 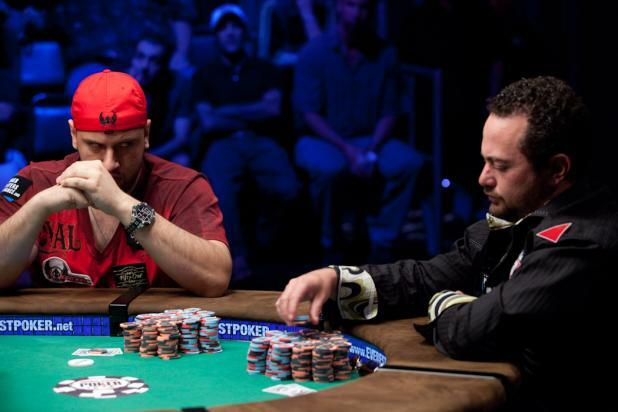 Michael "The Grinder" Mizrachi (left) intently studies David Oppenheim during a hand, looking for any possible tells. 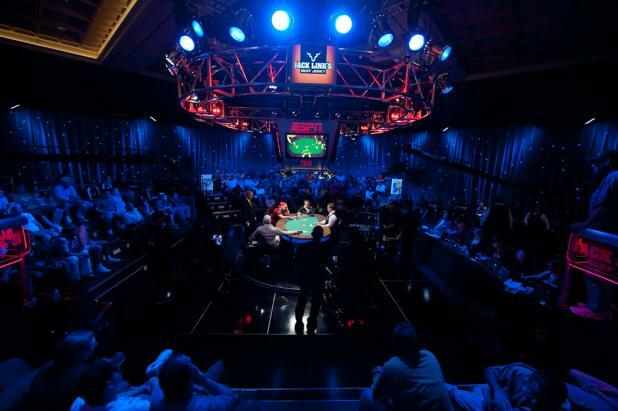 With three players remaining in the $50,000 Poker Player's Championship, the bleachers are still full even as the clock strikes midnight. John Juanda failed to gain much traction at the final table of the $50,000 Poker Player's Championship, and by Hand #96, the blinds were catching up to his chip stack. Juanda moved his short stack all in with K-9 suited, but he was up against the pocket tens (10-10) of Valdimiar Schmelev. The board never gave Juanda any hope at all, and he was eliminated in fourth place, earning $436,856. John Juanda was the most decorated tournament player at the final table, with four WSOP bracelets, and this performance moves him into 11th place on the all-time money list for live tournaments.